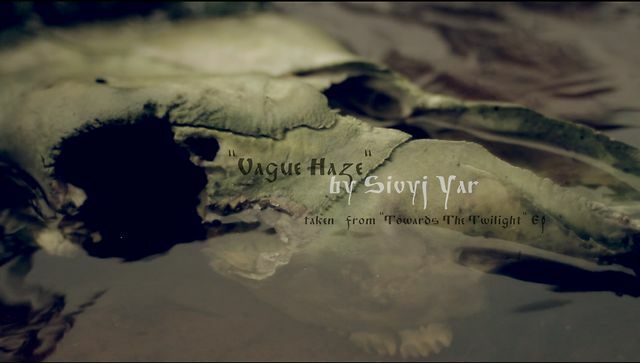 Sivyj Yar (Сивый Яр) is, as described on the official merchandise Bandcamp page, a Slavonic Pagan Black Metal band with sorrowful poetry and mysterious atmosphere from Vyritsa, Russia. 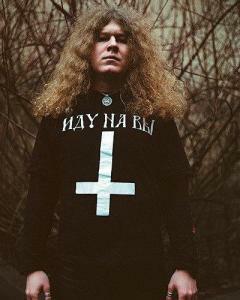 The band has only one member, called Vladimir, and has released four full-length albums, the latest being “From the Dead Villages’ Darkness” (Из Тьмы Вымерших Деревень). I have always been a admirer of the Russian Metal scene, especially when it comes to the Pagan bands, as I love the atmosphere and Sivyj Yar has been among my favorite ones ever since the release of Двоеверство, in the year 2011. I was eagerly waiting for the 2014 album, “From the Dead Villages’ Darkness”, and I wasn’t let down. Very atmospheric, pagan, sumptuous and majestic, this album is one of the most tasteful releases of this year. The incorporation of acoustic parts along with the desperate vocals is crafted like a masterful sculpture, beautifully done, worked with passion. The whole album has a folk mood, but still aggressive and fierce. Gorgeous and brutal music. The guitars, in my humble opinion, are the highlight of the album. They are so intense, the melodies are so stunning, impressive and, to tell you the truth, uplifting. The acoustic guitars are a delight to the years and the change of pace is so natural, one second there’s the attack and on another you listen to the calm, relaxing bits that result into something full of refinement. Of course there are the always needed, tremolo picking. And the vocals, they sound so desperate and anguished, it’s amazing. Everything on “From the Dead Villages’ Darkness” was built with brilliance and pure talent. If you want to listen to a beautiful (again), deep, intriguing and passionate Atmospheric Black Metal album with Folk influences, then this is a must. When it comes to the production of “From the Dead Villages’ Darkness”, I’ve got nothing else to say, except that it also should be praised, a real top-notch work. As I always finish my thoughts on Metal Maniac, I urge you all to give it a listen and, if you like the band, help supporting Sivyj Yar the way that is possible for you… can’t buy the album now? Share the band’s pages in yours, tell your friends, whatever you think will promote the wonderful music created by the talented Sivyj Yar.